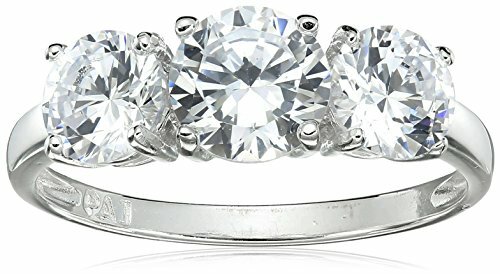 Sterling Silver Cubic Zirconia Three Stone Engagement Promise Ring, Size 7 by Amazon Collection at Lamont Design. MPN: 4539. Hurry! Limited time offer. Offer valid only while supplies last.